Early childhood education is something that is optional but at the same time very important. If you want to make sure you are giving your little ones the best opportunities in life and the tools they need to reach their full potential, an early education can go a very long way. This kind of education provides many benefits such as enhanced cognitive development, better life skills, and a head start on their academic careers. Here are a few reasons why sending your little one to a Montessori school in Rockville, Maryland is so important. One of the main benefits of sending your little one to a preschool in Maryland is for their cognitive development. When they are still toddlers, their brains are like sponges trying to soak up as much knowledge as possible. For this reason, it is important to make sure that they are able to be in an environment where they can learn until their little hearts are content. This is where early education can benefit them greatly. Early childhood education can go a long way in helping your little one improve their life skills. In preschool, they will learn many skills such as socialization, problem-solving, leadership, and more. These skills will not only benefit them right now but they can help your child excel for their entire lives. By learning these skills early, your child will be able to take full advantage of them and use them to reach their potential. 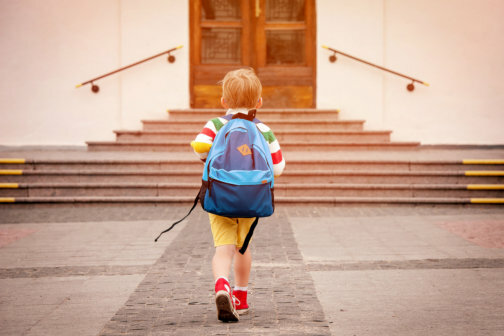 A preschool can provide your little one a huge head-start on their academic careers. This is because these education centers provide an education on all the different academic subjects such as math, reading, and science. By learning these early, your little one will have an easier time understanding them in the future. Norbeck Montessori is passionate about helping your children succeed. Through early education, you are giving the tools your little one needs to do well in not only school but in life. Share this blog with other parents and get in touch with us today. Let us help you find the best early educational options for your child. This entry was posted in Early Childhood Education and tagged Academic Careers, Cognitive Development, Life Skills. Bookmark the permalink.